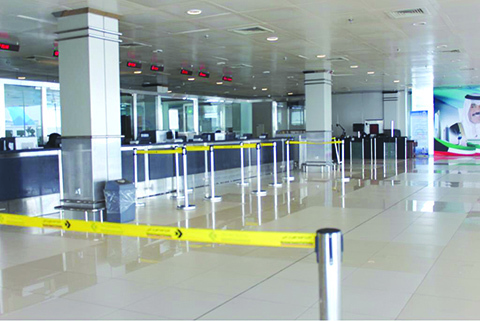 KUWAIT: Increased immigration counters at Kuwait International Airport. KUWAIT: The Directorate General of Civil Aviation (DGCA) said yesterday it was carrying out refurbishments in Terminal I of Kuwait International Airport for the 2018 summer season. DGCA temporarily stopped additional flights of carriers and will allow airlines to send bigger planes in exceptional circumstances, Director General Yusuf Al-Fozan said. He noted that DGCA also transferred 15 percent of traffic to Sheikh Saad Terminal (T3) and Al-Jazeera terminal (T5). “We seek to transfer Kuwait Airways flights to the new Terminal Four (T4) by the end of this summer season,” added Fozan.